Ships today if you order in the next 13 hours 14 minutes. Iron is one of the most important minerals in your body. It plays a role in your growth and development, has a part in proper metabolism, and also plays an important role in your body's production of hemoglobin and healthy red blood cells. Iron can be found in foods like green leafy vegetables, legumes, breads, spinach, cereals, fish, meat, dry fruits, and lentils. If your diet doesn't contain much iron, supplementation may be a good idea to ensure your body has the iron it needs to function properly. 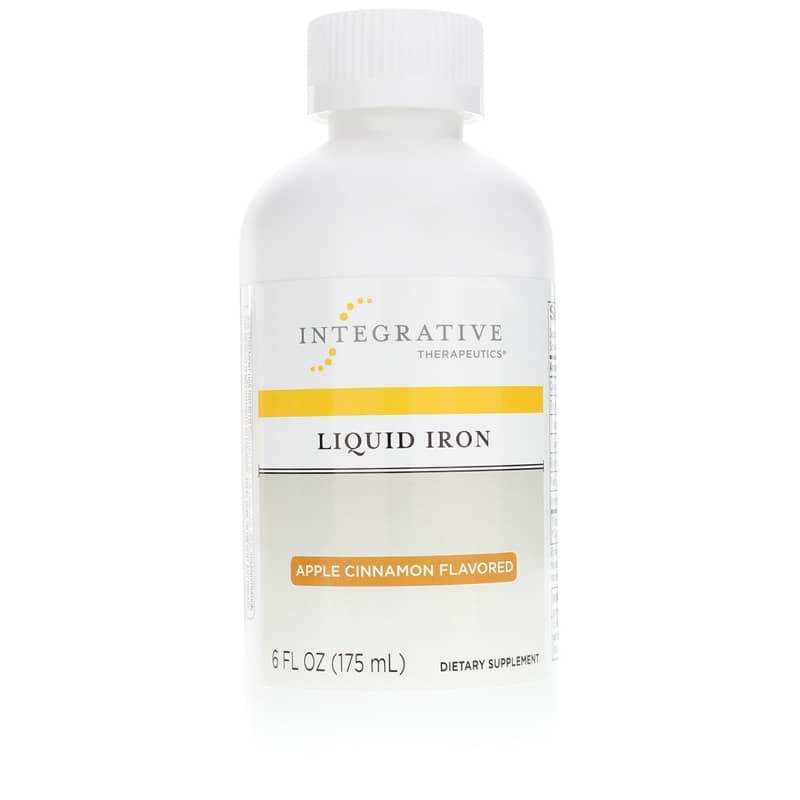 Liquid Iron from Integrative Therapeutics is a apple cinnamon-flavored liquid form of iron that also contains vitamin B12 and folic acid. It is easily absorbed by your body and is suitable for use by vegetarians. 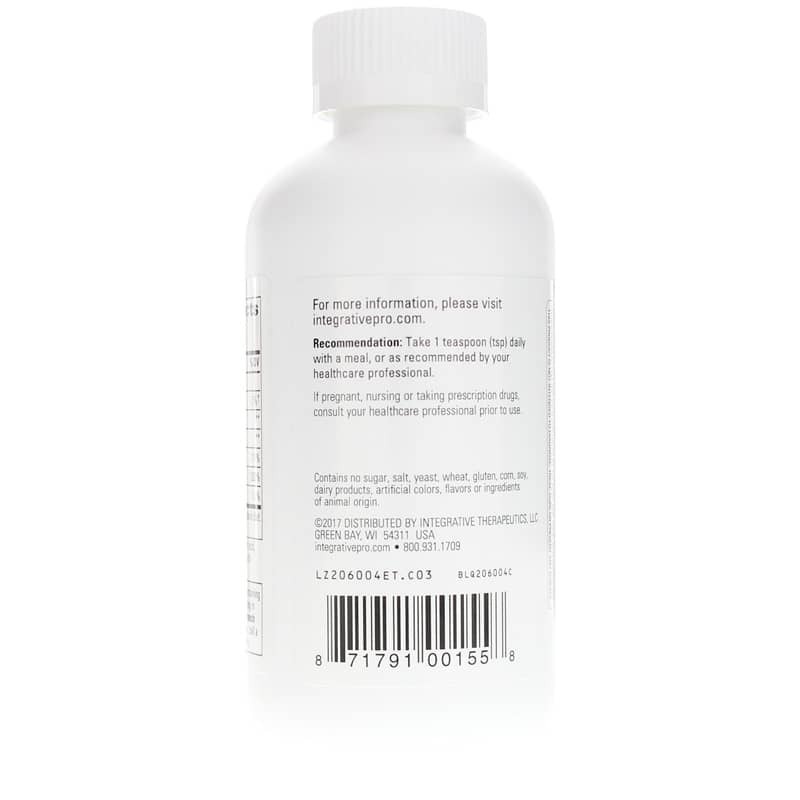 Integrative Therapeutics Liquid Iron does not contain any artificial additives like colors, flavors, or preservatives, and is made without the use of the most common food allergens, including soy, dairy products, wheat, and gluten. There are also no ingredients of animal origin. Start supporting your overall health today. 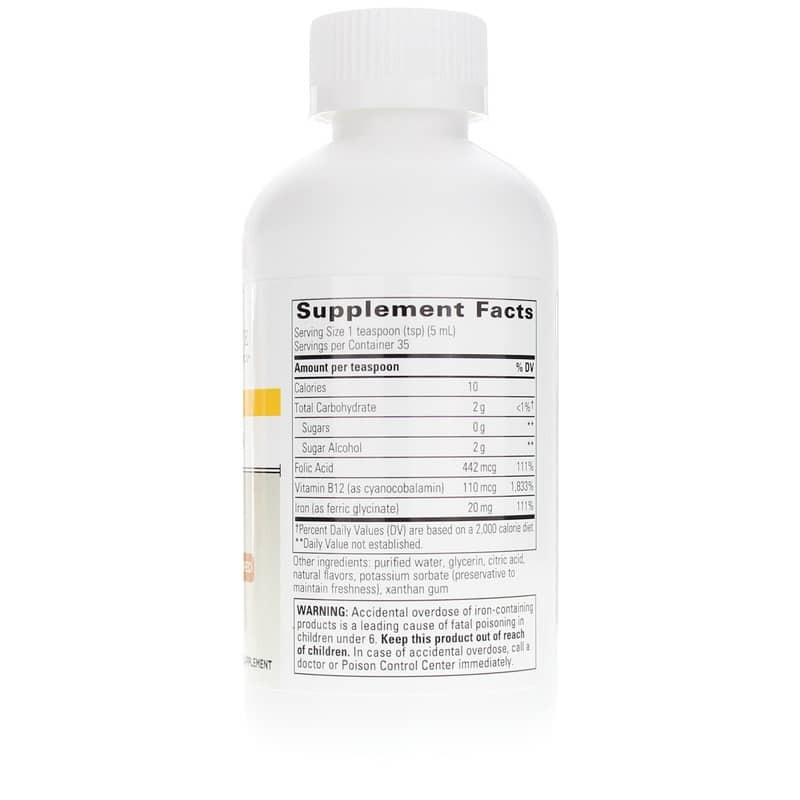 Choose Liquid Iron from Integrative Therapeutics for improved energy and stamina levels, healthy red blood cell production, and more. Order today! Other Ingredients: purified water, glycerin, citric acid, natural flavors, potassium sorbate (preservative to maintain freshness), xanthan gum. Contains NO: sugar, salt, yeast, wheat, gluten, corn, soy, dairy products, artificial coloring, artificial flavoring or ingredients of animal origin. Adults: Take 1 teaspoon daily with a meal or as recommended by a healthcare professional. If you are pregnant, nursing, or taking prescription medications, consult your healthcare professional before using this product. Accidental overdose of iron containing products is a leading cause of fatal poisoning in children under 6. Keep this product out of the reach of children. In case of accidental overdose, call a doctor or poison control center immediately. Liquid Iron with Folic Acid and Vitamin B12 is easy to swallow, as it is far more palatable than other liquid iron that I have tried. I haven't had new blood work done yet, so I don't know if it is being absorbed well. Also, it does not constipate at all, which was also a major drawback of the pill form of iron. I take liquid iron as recommended by my doctor. I belived it helps without the common side effects of iron.